EZ-Slider Soft Surfboard. 7ft FSE Foamie Soft Surfboard is a Classic LongBoard Shape. Dims. 7′ x 21.5″ x 3.0, Weight 11lbs, Vol. 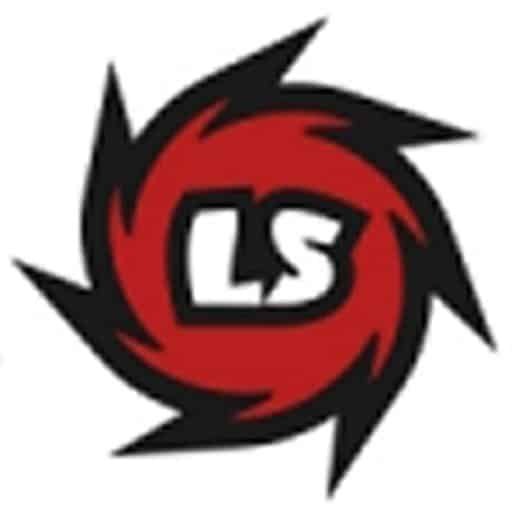 65lts. Removable Tri-Fin Thruster fin system. Fins included. Safety Foot Leash sold separately. EZ Slider Liquid Shredder can Shred!! 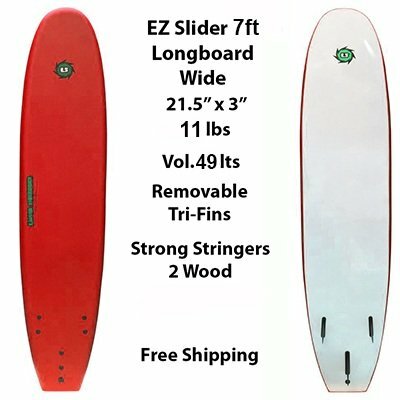 7ft EZ Slider Foamie Soft Surfboard Series is designed for beginners up to 140lbs, more for experienced riders. Soft foam deck, EPS core with Slick, Fast Bottom. Dims are 7′ x 20″ x 2.75. 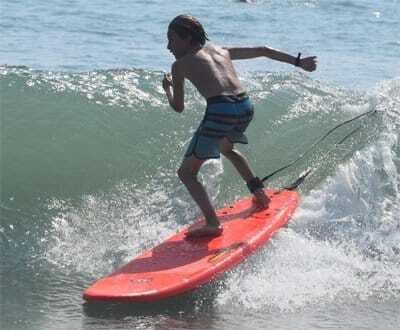 The favorite of Surf Schools World Wide, Liquid Shredder softboards are tested and proven in Sanctioned Surf Contests. The refined design and shapes make this foamy softboard a winner. 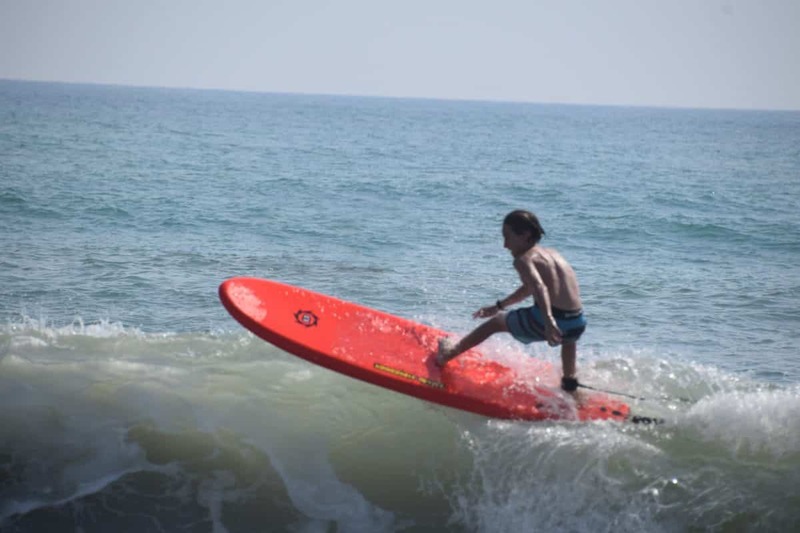 The EZ Slider Foamie Soft Surfboard incorporates Dual wooden stringers for strength and heat laminated materials, no glue insure quality construction. 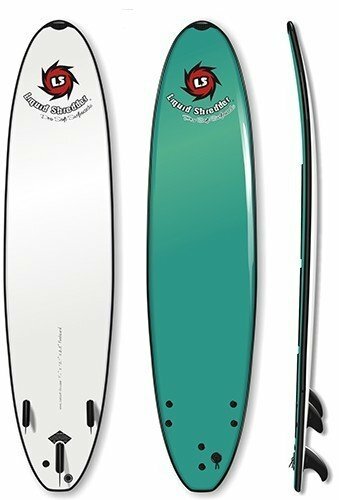 A perfect beginner surfboard and great for the experienced surfer as well. 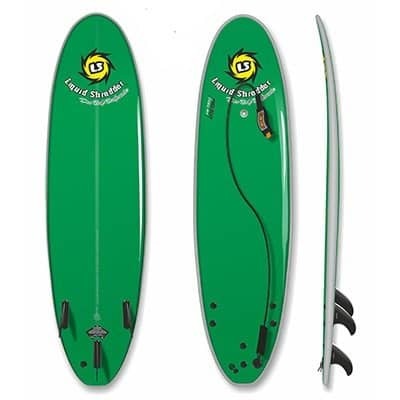 Liquid Shredder has nearly 2 decades of quality and service to the surfing community and beginner surfboard riders. 90 Day consumer use warranty. bought this for my Granddaughter 3 years ago, still using it and having fun. I heart this board so much! I bought it as a first board to learn on two years ago, and despite purchasing multiple boards since, this is still my go to, especially on mushy, sloppy days when I just want to have fun. I constantly recommend it friends who are interested in learning to surf but find that the Wavestorm is just too bulky. This board surfs well. I initially bought a 6 for fiberglass from a different company but it was too advanced for me. I did not want a big bulky 8ft board so I bought the 7ft Liquid Shredder and it surfs like a charm. It even fits in my Honda Civic so I don’t have to strap it onto my roof. I’m getting a lot of great surfing with this board in SoCal!